Reboot & Recover – Reduce screen time & Plug in to life! And Plug In To Life! Help make a difference today! Make a donation that will help us change the lives of others. Reboot & Recover is a 501 (c) 3 non-profit organization, all donations are 100% tax deductible to the extent of the law. We exist solely with donations and rely on the generosity of individuals like you. Please consider donating today. Click on the button above to donate safely with PayPal. We’re excited to announce a partnership with Conscious Minds around the upcoming release of their documentary film, Social Animals, which explores growing up in the age of Instagram. The film will be released on iTunes on December 11th, and carries a powerful message that many people will benefit from seeing. Social media has such strong and growing presence in our world, and Conscious Minds wants to use the release of their film as an opportunity to benefit those who are struggling from negative experiences online — and we need your help! Together, we are starting a challenge on Instagram called the #ScreenTimeChallenge to raise donations and awareness for Reboot & Recover. 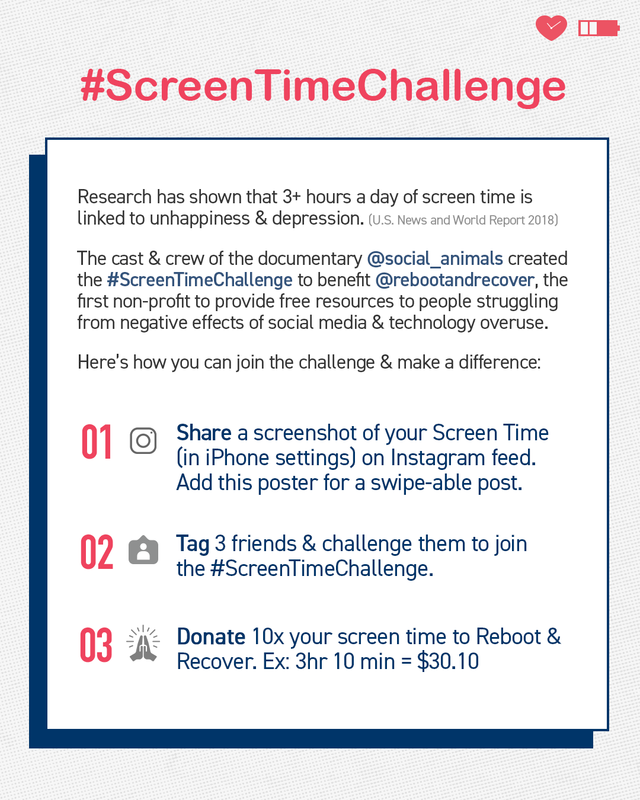 The cast and crew of Social Animals is kicking off the challenge on and we’d like to ask you to join in as well! The challenge will be ongoing, until we get as many people as we can involved. Please see directions in the photo below. Don’t hesitate to reach out with any questions, as we know your involvement will make a big impact. Sample Caption: @friend1 @friend2 @friend 3, brave enough to share your screen time? Swipe for directions to join me in the #ScreenTimeChallenge and support @rebootandrecover as they help those struggling with mental health. Technology is essential in our lives. We need it to work, to communicate, to strive, and to grown. But too much of anything, can cause problems. Reboot & Recover strives to assist those being negatively affected by technology overuse and to educate the community of the negative impacts technology overuse causes. The services we offer are education, prevention, research and treatment to the community and individuals regarding technology overuse and addiction. Reboot & Recover is the first non-profit organization in the nation to offer these services. By providing our services we aim to diminish the negative effect that technology overuse can have on individuals quality of life. In place we provide tools that adults, parents, and children can use to attain a happy, healthy and balanced life. 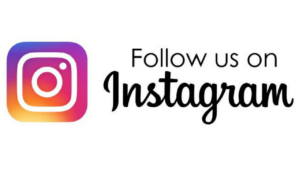 For more information, advice, and tips on how to live a balanced life follow us on social media!